They say you should never miss a Sunday show, and while I wholeheartedly agree that you should miss as little Phish as possible, I think in recent years I’ve come to realize that Friday has been delivering at an equally high level as the Lord’s Day. I’d say we should leave Tuesday out of this just in case anyone reading decides to start going to weekday Phish shows when they should be at work or school or whatever. Come to think of it, seems to me that this band plays pretty darn well on any day that ends in "day." Feel free to click the links above to make the determination for yourself. Can there really be only one and where does that leave us anyway? In a relatively-old-school, all-blue, wooden-ceilinged venue just outside of Chicago on Friday 10/26/18 it would seem. Would Phish continue the T.G.I.F. trend by delivering an all-out banger? Would Phish’s first run of indoor Chicago shows in seven years be enough of a spark to blow the whole fireworks factory sky high? 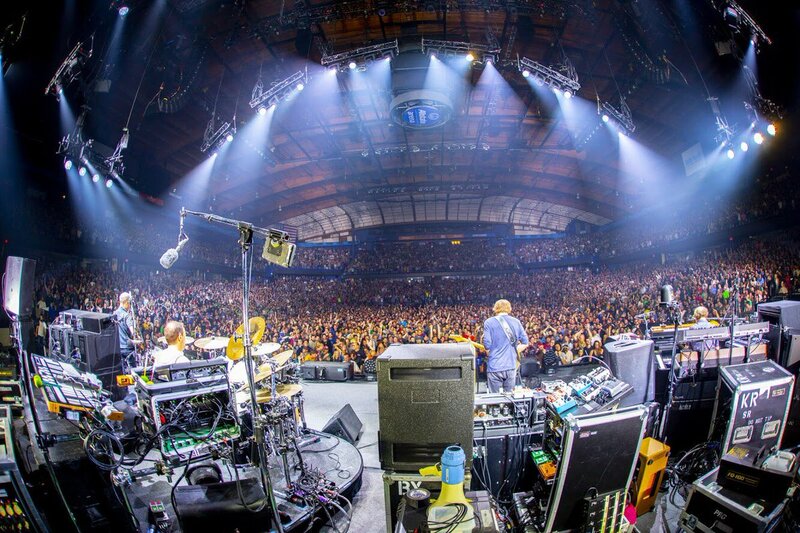 Would it be one of those shows that satisfies the whole fan base, from the rail riders who waited all day just to give Trey a very special note, to the wooks on the back of the floor who just want to spin and flail with as few impedances as possible?